The Visual Art program at Old Orchard Primary School is designed to encourage and challenge students to achieve their artistic potential in an enjoyable and supportive environment. Students develop their creativity and imagination as well as refining their practical and fine motor skills. They learn to make choices when experimenting with materials, tools and techniques. Throughout their time at Old Orchard Primary School students will get the opportunity to explore a wide variety of different art mediums such as drawing, painting, printmaking, collage, clay, sculpture, construction and textiles. Students learn to communicate through their art, respond to the artworks of others and gain appreciation from well known artists. 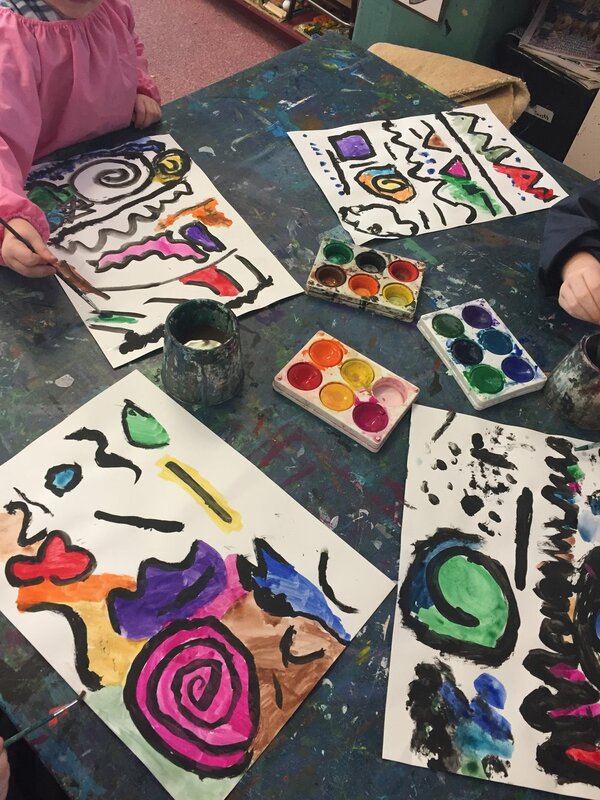 Students attend one 50 minute session of Art a week with their class and have the opportunity to participate in extra curricula activities such as lunchtime art clubs and creating artwork for the biannual School Fete. The Art Room at OOPS is a wonderful place of creativity and exploration. It is a spacious, well equipped and inspiring learning environment. Each student is required to have their own art smock which is kept in their class tub in the Art Room for the Year. For more than a decade the Year 6 students have been given the opportunity to work together to create a collaborative art project at the end of the school year which is then left at the school to be admired for years to come. The Year 6 students take great pride in the development of this artwork, which is created during Art classes throughout semester two. At the beginning of the following year the students are invited back to school for a special event to celebrate the official opening of the Year 6 Art Project as well as catch up with primary school classmates and teachers.